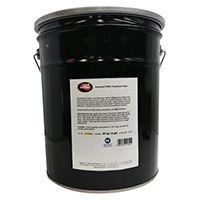 IMS Company - Aluminum Mold Polish, 40 lbs(20kg)5 Gallon Pail. For All Non-Ferrous Metal Surface Types. Cleans and Removes Plastic Build up, Dirt, and Surface Oxidation. Provides a Brilliant High Gloss Finish. Aluminum Mold Polish, 40 lbs(20kg)5 Gallon Pail. For All Non-Ferrous Metal Surface Types. Cleans and Removes Plastic Build up, Dirt, and Surface Oxidation. Provides a Brilliant High Gloss Finish.